Hanover Marriott at 1401 Rt 10 E.
Let’s catch up with old and new friends while we unwind for a relaxing happy hour in the “Cottage”which is the room to the right of the main bar. 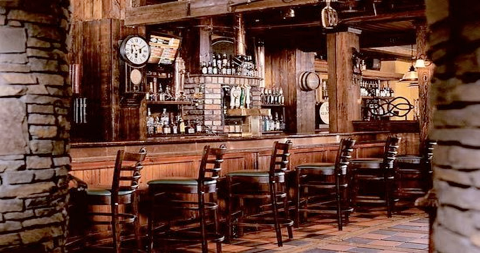 “The Auld Shebeen, known in Ireland as An Sibin, was a speakeasy where you were sure to find good friends, good food, and drinks. These speakeasies inspired our restaurant and pub, The Auld Shebeen”. Happy will be from 5-8 with $1 off domestic draft beers and $7 appetizers that are available for purchase. FROM NORTHWEST NEW JERSEY: Take local roads to I-80 East. Take I-80 East. Exit 43 to I-287 South. Take Exit 39B, Route 10 West. Go through first traffic light (you will see the hotel on other side of highway at this point), stay in right lane and take second right after the light (sign reads Cedar Knolls U-Turn). This will bring you to Route 10 East. We are the first entrance on right. FROM THE NORTHEAST NEW JERSEY: Take I-80 West to I-287 South. Take Exit 39B, Route 10 West. Go through first traffic light (you will see the hotel on other side of highway at this point), stay in right lane and take second right after the light (sign reads Cedar Knolls U-Turn). This will bring you to Route 10 East. We are the first entrance on right.